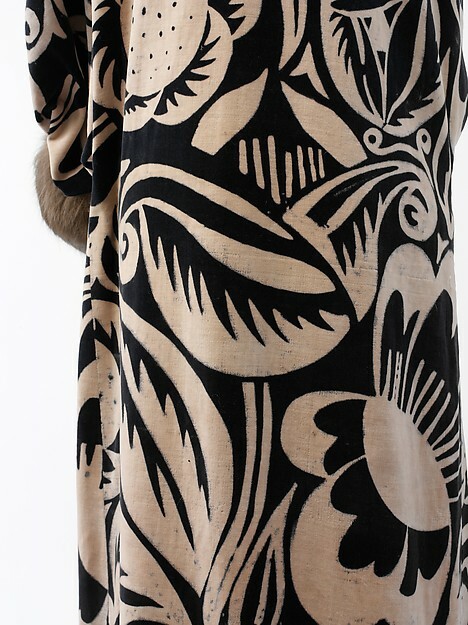 “La Perse” coat designed by Paul Poiret using a Dufy textile design, 1911. In the collection of the Metropolitan Museum of Art. Happy birthday to the French artist Raoul Dufy, born on this day in fashion history in 1877. As a young man, Dufy studied painting at Paris’ prestigious Ècole des beaux-arts, finding early success with an evolving artistic style that found inspiration in avant-garde art movements of the era, including Impressionism, Fauvism and Cubism. Dufy was a man of many talents, working successfully during his lifetime as a painter, illustrator and textile designer. But it is his incredible body of work within the latter arena that Dufy was able to truly distinguish himself from his contemporaries, designing bold, vivid patterns that served to become defining elements of the visual landscape of the Art Moderne and Art Deco eras. Pencil and gouache textile design by Dufy for Bianchini-Férier. In the collection of the V&A, London. relationship with Poiret would continue for many years. Poiret often used Dufy’s bold fabric designs in his garments, two examples of which are featured here. 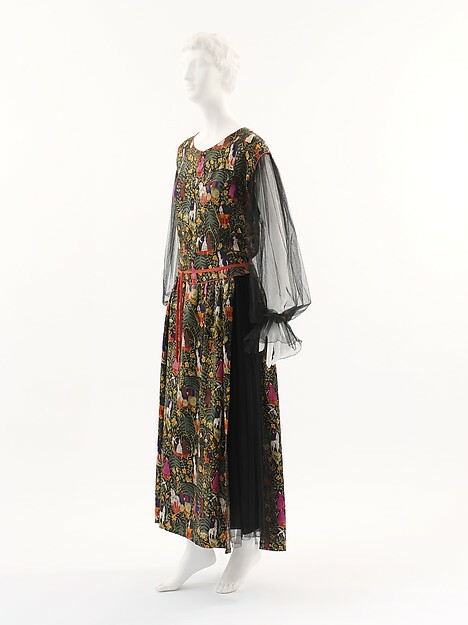 In both the “La Perse” coat and the “Bois de Boulogne” dress, it becomes clear that Dufy’s designs were ideally suited for Poiret’s clothes, his flat, planar surfaces allow for the full breathe of Dufy’s expansive floral patterns. 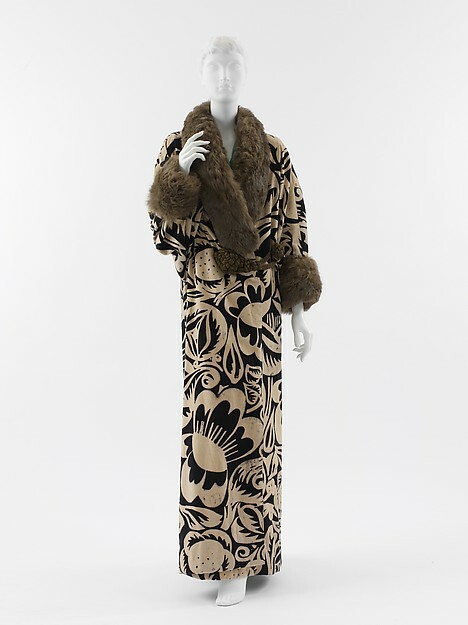 At first glance, the “La Perse” coat is deceptive, appearing to be made of plush black devoré silk velvet but closer inspection reveals it to actually be a wood-block print, produced entirely by hand in Poiret and Dufy’s workshop. This thick lined, mono-colored woodblock pattern would become a defining element of the aesthetic of Dufy, who repeatedly found inspiration in the “exotic,” like many other artists of the period. He often incorporated tropical flowers and animals into his patterns, as well as scenes from history and everyday life. His patterns are characteristically immersive, using bold lines and vivid blocks of color with repeats blending seamlessly in to one another to envelope the entire fabric. 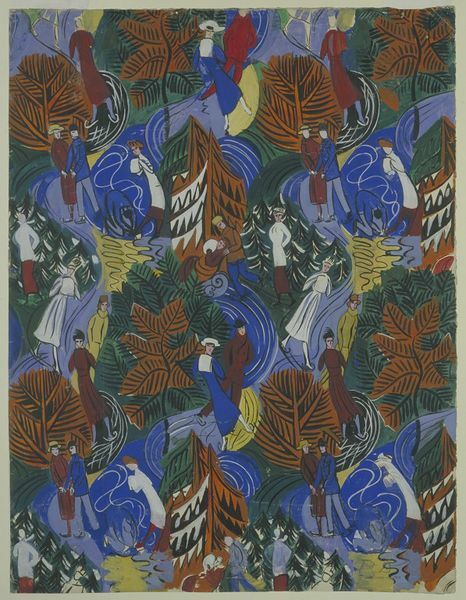 “Bois de boulogne” dress designed by Paul Poiret using a Dufy textile design, 1919. In the collection of the Metropolitan Museum of Art. Dufy would work for Bianchini-Férier until 1932. After, he continued to work as a painter and illustrator until his death in 1953, having been awarded the main painting prize at the Venice Biennale just the year before. Over one hundred years since their collaboration began, Bianchini-Férier still prides itself on its twenty-year relationship with Dufy and continues to produce and sell his distinctive designs in a variety of color-ways, featured here. 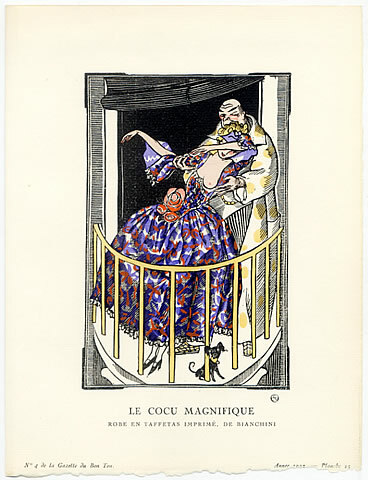 Pochoir-printed fashion plate featured in Gazette du bon ton, illustrated by Fernan Siméon, textile by Bianchini-Férier. Though not specified, the pattern is likely by Dufy who was known for his large floral prints. 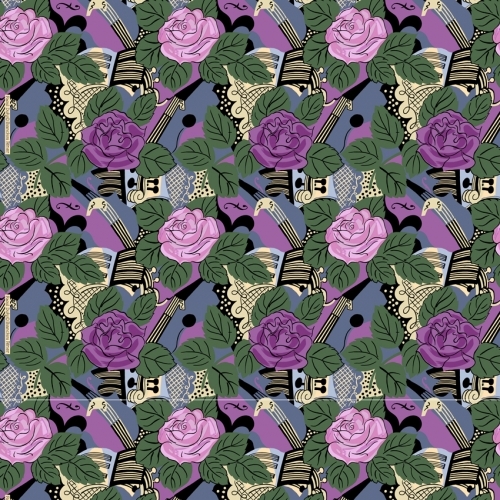 Reproduction of “Les Violins” pattern designed by Dufy for Bianchini-Férier in 1922. [i] Paul Poiret, King of Fashion: The Autobiography of Paul Poiret (London: V&A Publishing, 2009), 87. 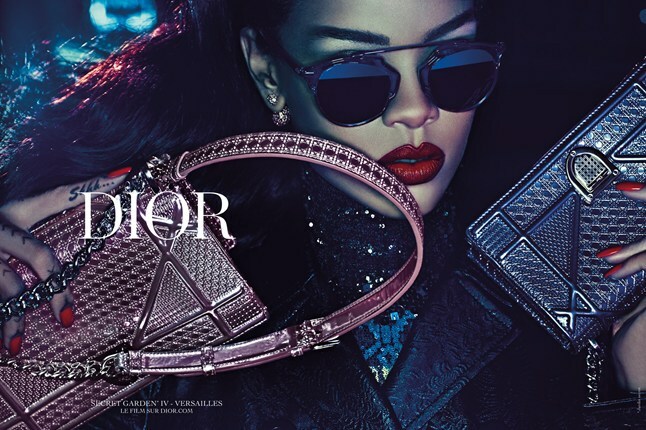 The high profile relationship between Rihanna and fashion is nothing new, but her most recent collaboration with the storied House of Dior is particularly unique: the twenty-seven year old pop star is the first black woman to front one of the world’s–and history’s–most coveted fashion brands. This is equally exceptional and unacceptable, considering it took the house 68 years to change its archaic image of beauty. 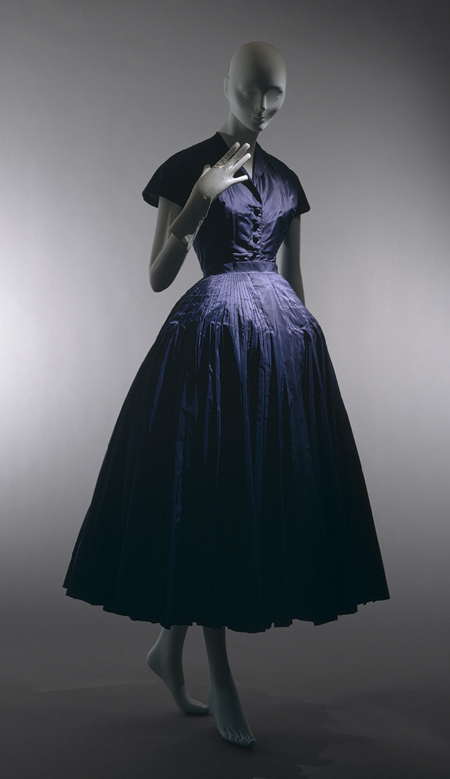 The house was founded under the singular vision of Christian Dior, whose debut collection in 1947 re-charted the direction of post-war fashion with dramatically structured silhouettes based on unnatural distortions of the body.The voluminous skirts, padded hips and nipped in waists harkened back to fashion of the 19th century with an overall aesthetic that was romantic, albeit entirely unnatural. 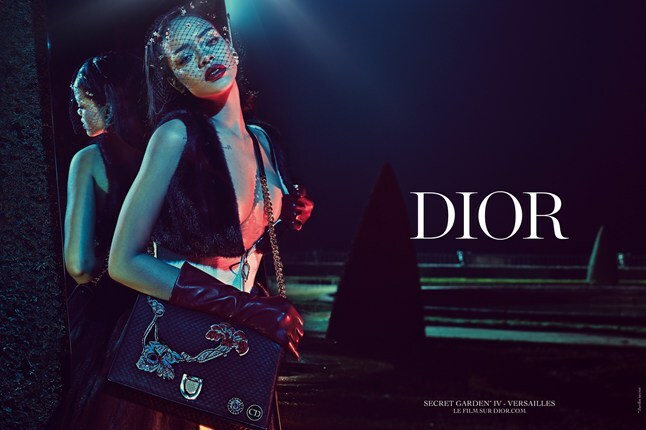 After years of war-induced austerity in dress, millions of women flocked to Dior’s vision of femininity. His designs copied at every price point, Dior’s legacy as one of the greatest couturiers of all time was officially cemented–although his reign would be all too brief. 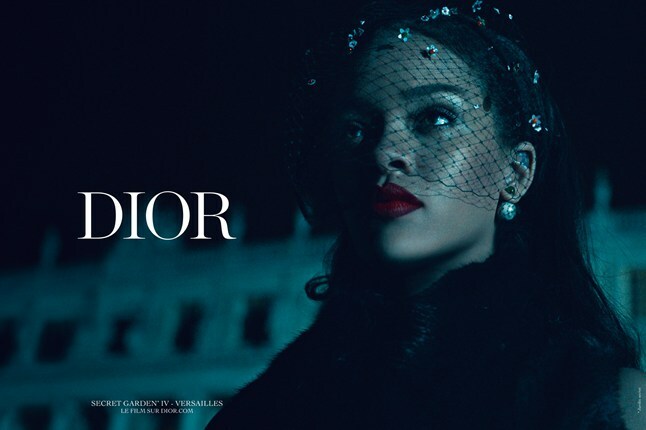 After Dior’s untimely death in 1957, only ten years after his debut, his namesake house has continued under a lineage of famous designers, including Yves Saint Laurent (1957-1960) and John Galliano (1997-2011) and is currently under the creative direction of Raf Simons. 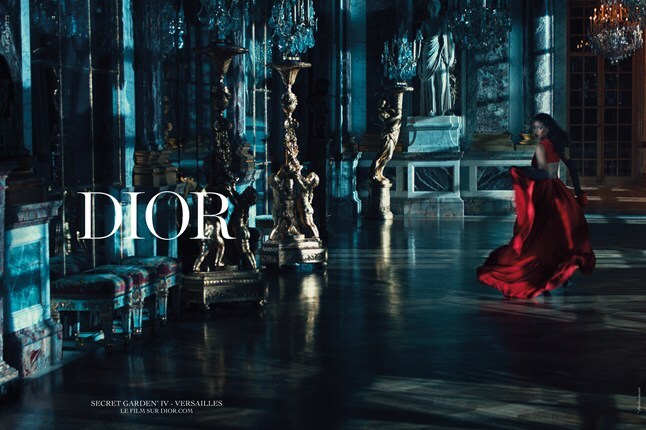 Galliano famously brought a dramatic and theatrical flair to Dior, constantly re-imagining the Dior woman within a fairy-tale revery, not exactly relatable or even wearable, but incredibly beautiful. 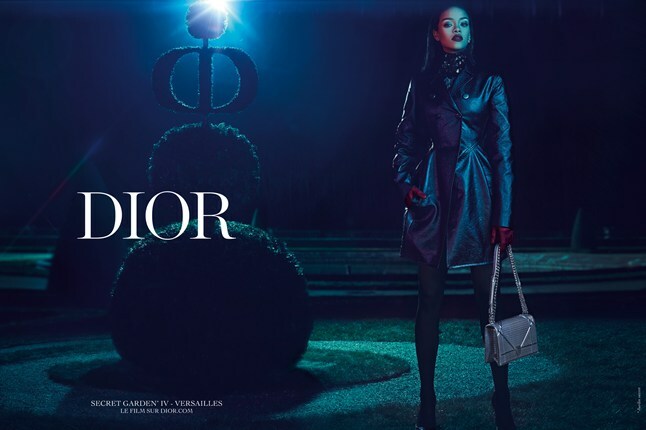 It was not until Simons took the helm in 2012, that a modernist energy was injected into the brand, or as Simons once said “a nostalgia for the future.” It is at the hands of Simons that the soon-to-be seventy year old house has found a place in the twenty-first century, with the vision of a new Dior woman at the helm. 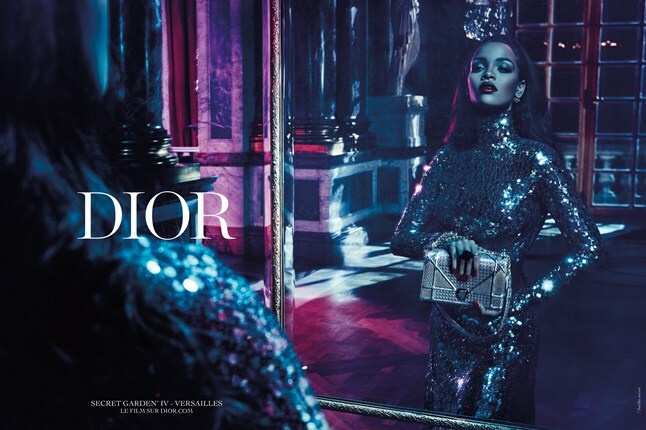 The full video and images from Dior’s “Secret Garden” campaign starring Rihanna and shot by Steven Klein are featured below. Quote above found via Vogue.com.